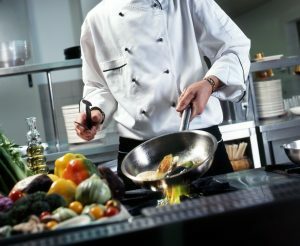 Your cook, or your chef, is the most important person in your restaurant. Cooking is a style and it can come in all forms, like art. Follow these tips to make yourself the best you can be. Lets start with something simple like beans. If you can’t find fresh beans you can go for dried or canned. Canned beans contain sodium. To get rid of the salty taste just rinse them in cold water. Dried beans are easy to cook. If you don’t know how, just follow the instructions on the back of the bag. You will want your beans to be plump. With mushrooms, never rinse them. They are like little sponges and will hold water. Wash them off with a clean, damp cloth. This will preserve the taste and improve your cooking time.